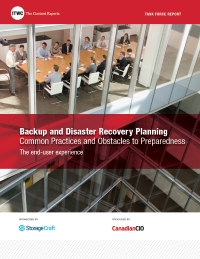 The importance of data backup systems and disaster recovery plans has never been more critical. Whether a business is small or large, the failure to prepare for the unexpected can have horrific consequences for your business. Disasters, man-made and natural, do happen, so failing to plan is unforgivable from a market point of view.